Stokley’s is an authorized service center for Mercury engine parts. We’re also able to resource a number of boat parts, depending on your specific brand. 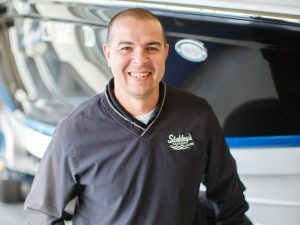 Our veteran parts manager, Randy Collins, joined the Stokley’s crew in 1993. He is a walking encyclopedia of boat parts and numbers, and is always ready to help. Please feel free to re-visit this page, as it is currently under construction.